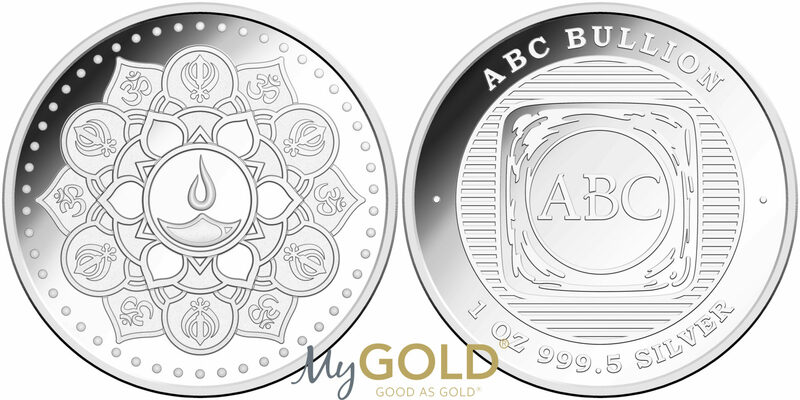 Australian silver coins are available in myriad varieties, weights and designs. 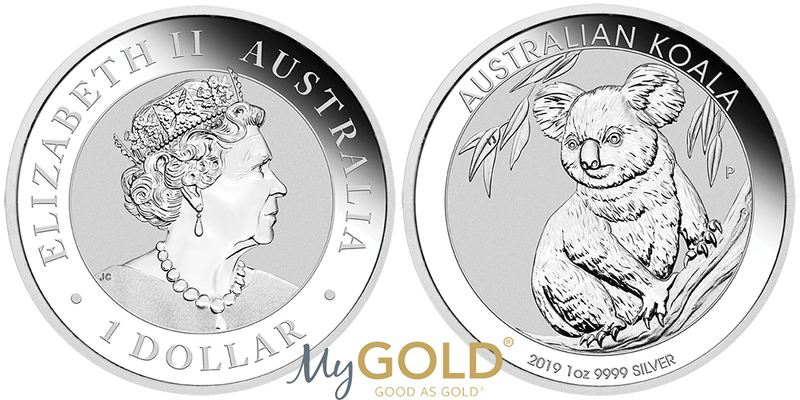 Whether you are looking for a silver kangaroo, a silver koala, a Lunar piece or another silver coin, MyGold has your needs covered. Here’s a quick look at some of the top Australian silver coins. The Australian Kangaroo one ounce silver bullion coin is revered by coin collectors and investors far and wide. 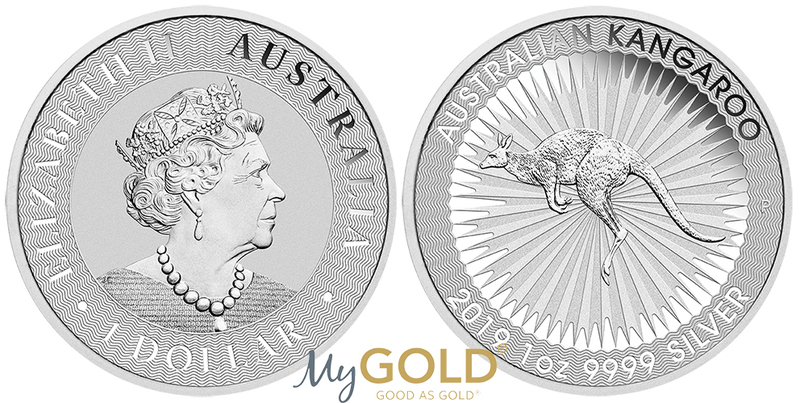 The 2019 version of the silver kangaroo is struck from 99.99 percent pure silver. This gorgeous coin showcases a beautiful red kangaroo basking in rays of symbolic sunlight. The obverse side of the coin displays Queen Elizabeth II. Considered legal tender based on the Australian Currency Act, this piece is 3.210 mm thick, has a diameter of 40.6 mm and weighs just over 31 grams. The Australian Koala is also struck from 99.99 percent silver. This year’s Koala is the 12th in the series. The iconic animal is featured amidst sprawling branches and a stunning flowering eucalyptus tree. The obverse side of the coin features Ian Rank-Broadley’s effigy of the one and only Queen Elizabeth II. 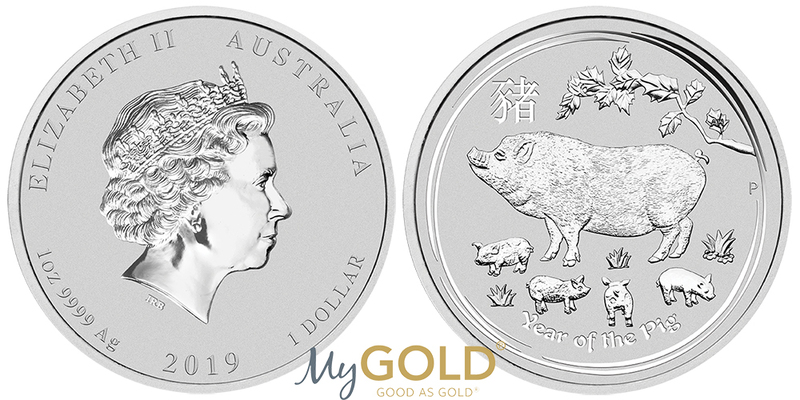 Merely 300,000 of the one ounce silver Koala coins are scheduled to be released. 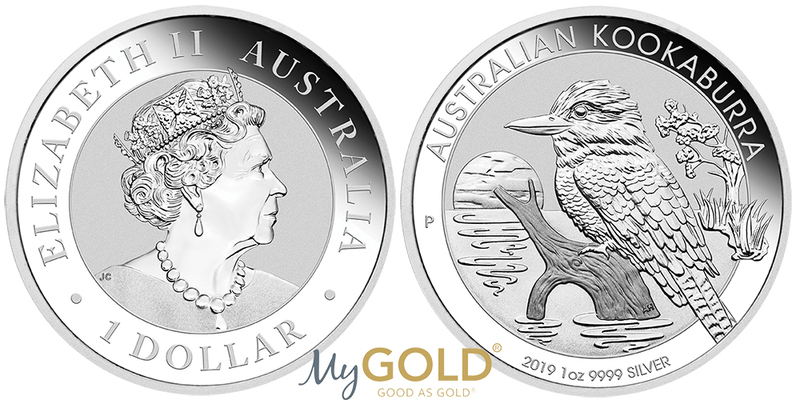 Take one look at this year’s Silver Kookaburra coin and you will have to have it. This is one of the more visually stunning Australian silver coins. Kookaburras are made of .999 fine silver. Each silver Kookaburra has a gorgeous finish with an eye-catching design that showcase’s Australia’s idiosyncratic kookaburra. The silver Kookaburra coins are the longest running in the Pert Mint’s coins series. The one ounce version of the coin has been minted since 1990. Coin collectors and investors alike cherish the Perth Mint’s Silver Lunar Series. These beautiful silver coins have a full ounce of silver, making them the perfect addition to any portfolio. This series has a limited mintage yet considerable mainstream appeal. The coin series celebrates the famous Chinese lunar calendar. The calendar’s unique traditions serve as the inspiration for each of these silver coins. The dozen animals that comprise the Chinese lunar calendar are displayed on each of the coins. According to Chinese legend, these animals have a considerable influence on those born under each’s respective year. Silver lunar coins typically hold their value across posterity thanks to their purity and weight. Silver lunar coin values tend to either increase or at the very least, stagnate, with each successive year due to the consistently strong demand. This unique silver coin features a Digger on a tenement, proudly holding a gold nugget. The Digger stands upright in front of a glorious Australian sun. This is the perfect coin for those infatuated with the Australian countryside and wildlife. The coin’s high quality finish is revered amongst coin collectors and industry professionals alike. This silver coin displays a burning lamp along with a lovely rangoli pattern. The coin features the icon for Om, representing the spirit along with the entirety of the universe. Each Diwali Festival silver coin has a 40 mm diameter, a maximum thickness of 3.30 mm and a 99.95 percent fineness. The minted lunar collection features the silver one ounce Year of the Dog coin. The current year (2018) is just one of the many years of the dog. Those born in 1994, 2006 and years in additional dozen-year increments are born in the Year of the Dog as well. These individuals are allegedly smart, welcoming, hardworking and strong. The opposite side of the coin features a Golden Retriever dog amidst lovely cymbidium orchids. The Lunar Dog Gold Coin celebrates the year of the dog. The dog is one of a dozen animals featured on the Chinese lunar calendar. This coin has 99.9 percent purity, a gross weight of 31.112 grams, a 39 mm diameter and a 2.50 mm thickness. The coin’s reverse side displays a Labrador Retriever, a beautiful pine tree, the Chinese character for the word “dog”, the “P” mintmark of the Perth Mint, the year date, monetary denomination and an inscription that reads: Year of the Dog. Queen Elizabeth II is also featured in the form of an Ian Rank-Broadley effigy. Are you interested in investing in gold or silver? Whether you are looking for a new addition to your portfolio or are simply interested in collecting valuable coins, MyGold is at your service. Reach out to us today to learn more about Australian silver coins and our other offerings by dialling 0800 465 369.